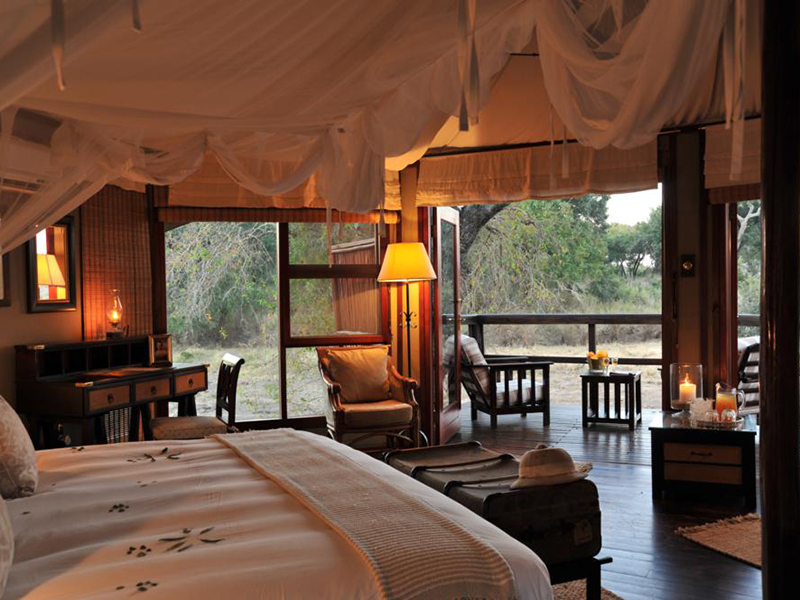 The best part about a safari holiday at Hamilton’s Tented Camp is the game viewing – Kruger National Park offers the opportunity to see a huge range of wild animals, reptiles, birds, insects, and other creatures in their natural wild habitat. 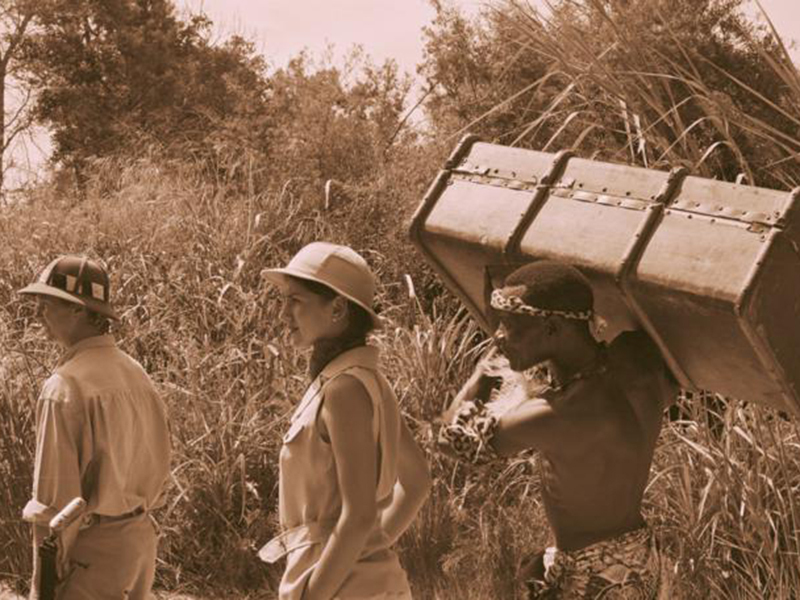 Your professional game rangers will teach you so much about the interactions within intricate food chains and ecosystems in this South African conservation area. 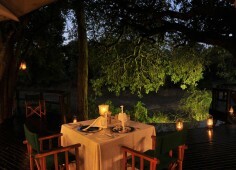 Look out for the rare African wild dog, hyenas and leopards – awesome sightings that will make your day! 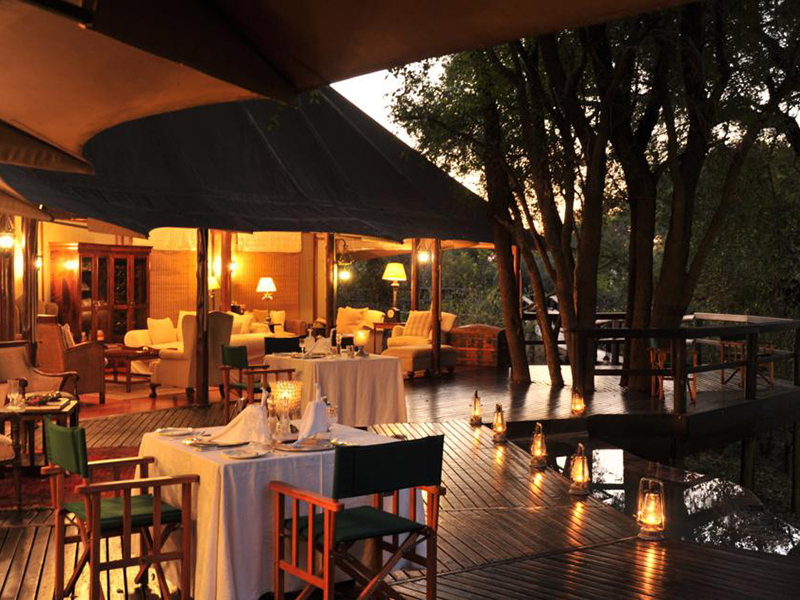 Getting to Hamilton’s Tented Camp in the renowned Kruger National Park is direct and logical, and we get our clients there in record time. Enter through the Paul Kruger Gate if you are driving from Johannesburg but remember that the journey can take up to seven hours so plan ahead for an extra two days if you are taking the scenic route. 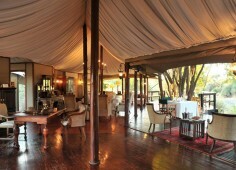 For those who want to get to Hamilton’s Tented Camp quickly to be able to start enjoying her fruits, then fly into the Hoedspruit Eastgate Airport which is only about two hours from the camp. Hiding deep in the heart of the Mluwati Concession within the Kruger National Park, this luxury camp is relatively unknown and one of the best destinations for a safari holiday in Africa that you will find in this region. 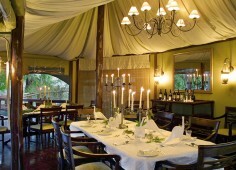 Guests enjoy an experience that harks back to colonial days when things were elegantly done with style and smiles. 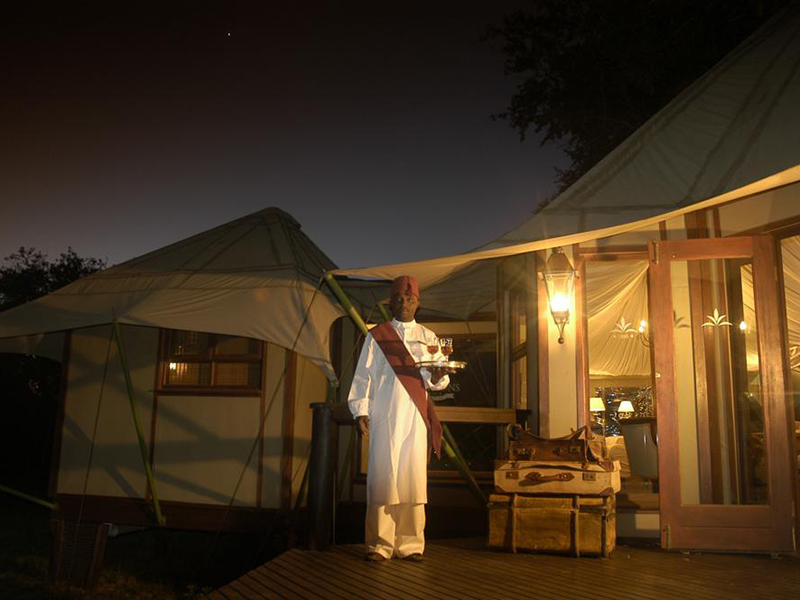 There are only six chic safari tents in this four star camp, loved by honeymoon couples and those needing a break away together – your private deck overlooks the Nwatswitsonto River from beneath lush Jackalberry trees. 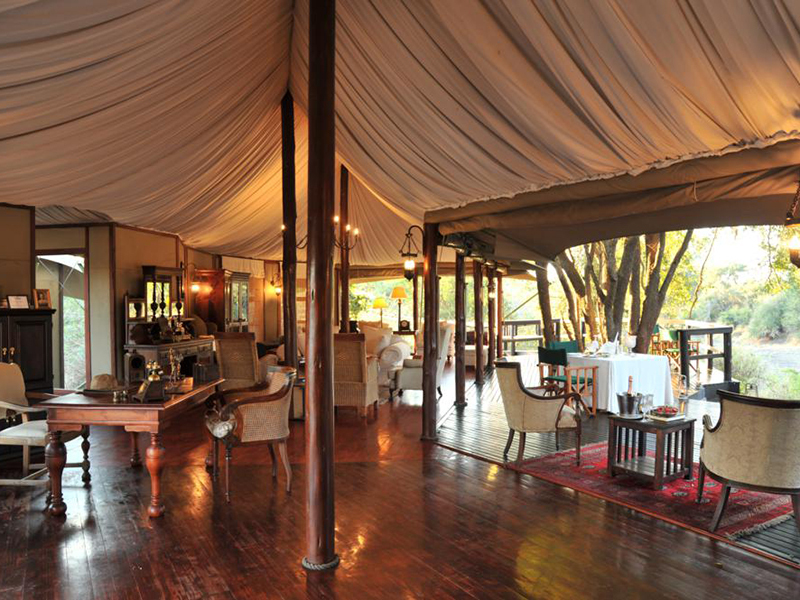 You feel as if you are in sturdy chalets with all the antique furniture and objects collected from the turn of the century – almost like living in a safari museum from 100 years ago! 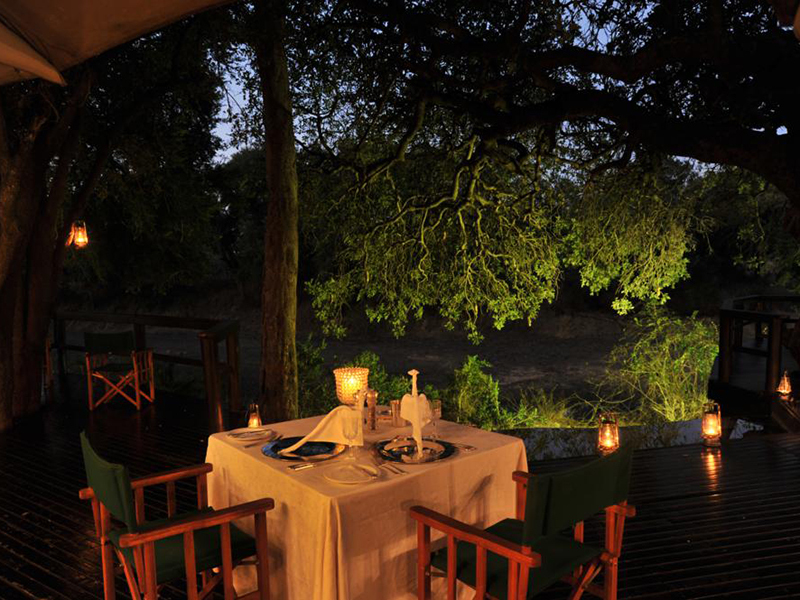 Return to camp for a candlelit dinner on your private veranda and listen to the sounds of the nocturnal animals, the bush alive at all times of the day. 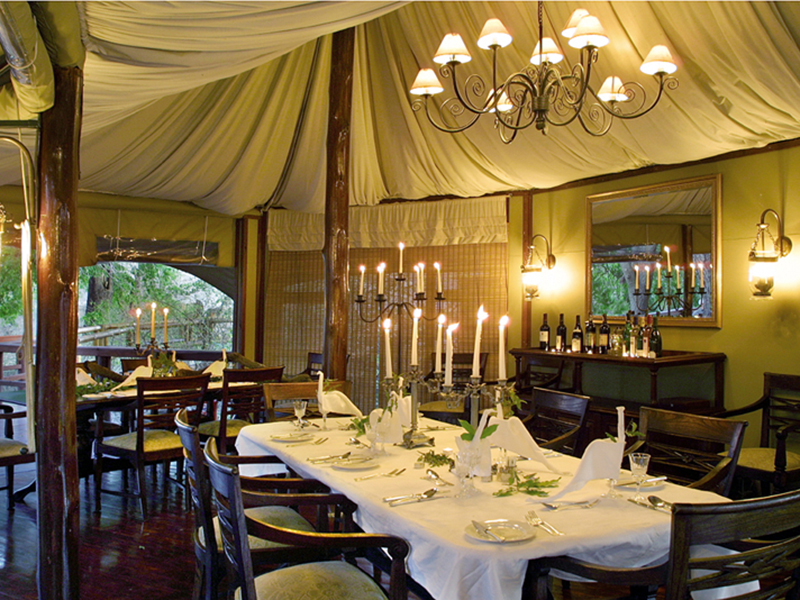 You will indulge in full silver service dinners most nights, served by gracious local people who are there to ensure your contentment and satisfaction during your holiday at Hamilton’s Tented Camp. Most of our clients rave about the service here, so hands-on yet not obtrusive at all. 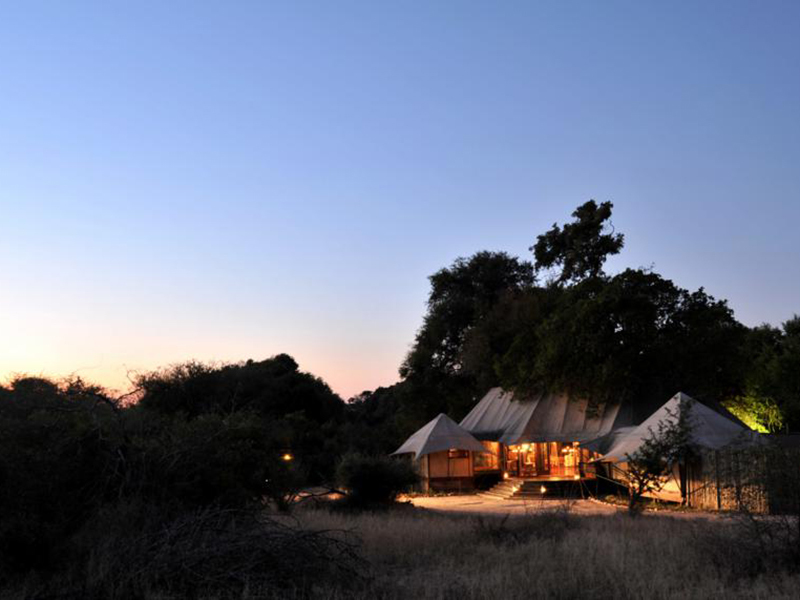 Families are very welcome at this luxury safari camp in the Kruger, but only children from aged 8 and they need to eat dinners at their own tables and stay in their own canvas rooms as part of the exciting adventure away from home in the wilderness. 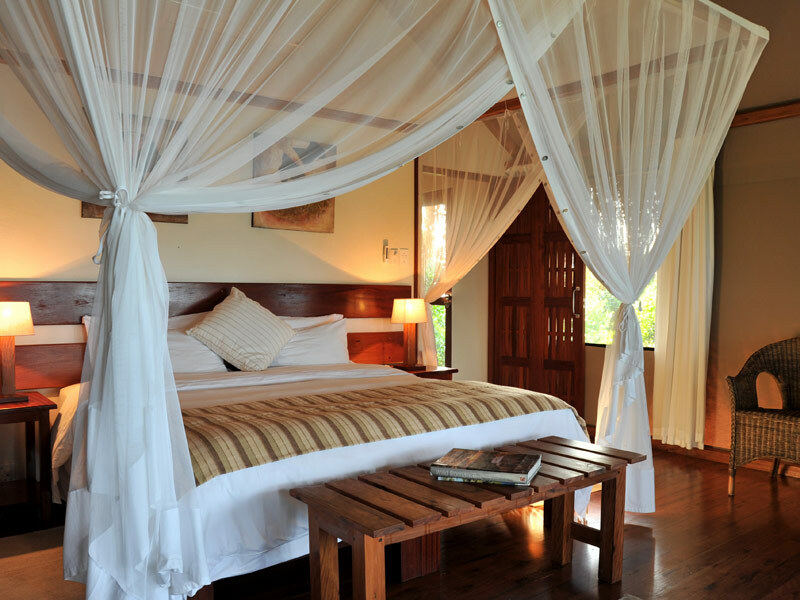 Our clients come for the air-conditioned tented suites with their teakwood flooring and king-sized canopy beds, nestling in thick bush. Sink into a deep bath at night after your game drive and awaken to a warm shower outside! 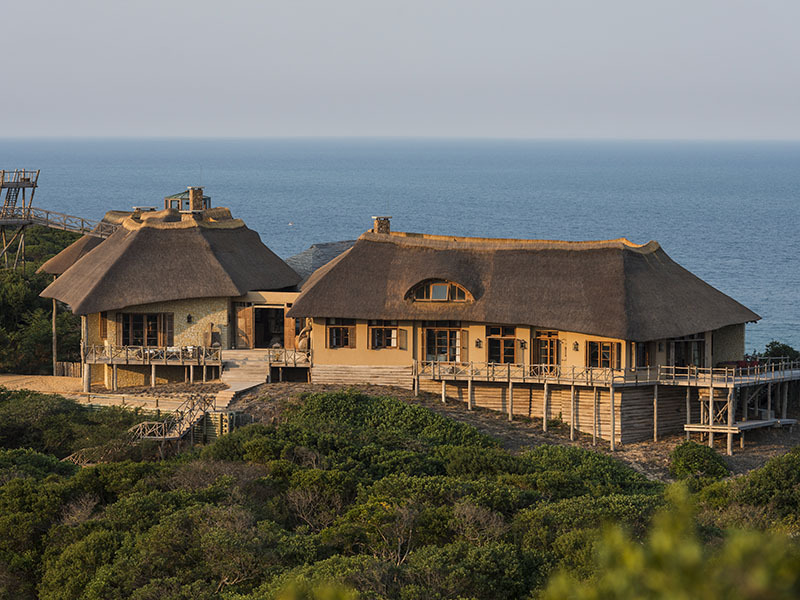 You will want to absorb the infinite views over the seasonal river, the outlook changing every hour of the day as the sun moves and the animals come out. 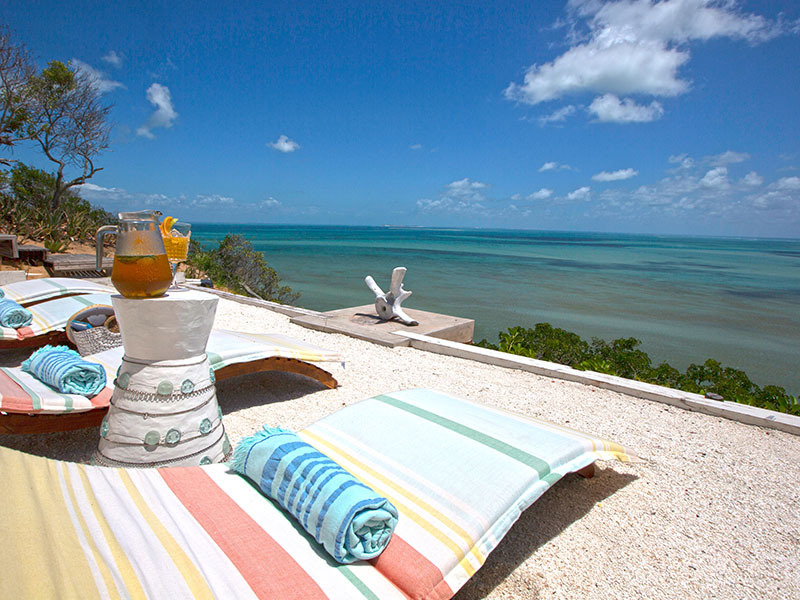 During the heat of the day, sit beside the camp swimming pool with a good book and dose in the warm sun. 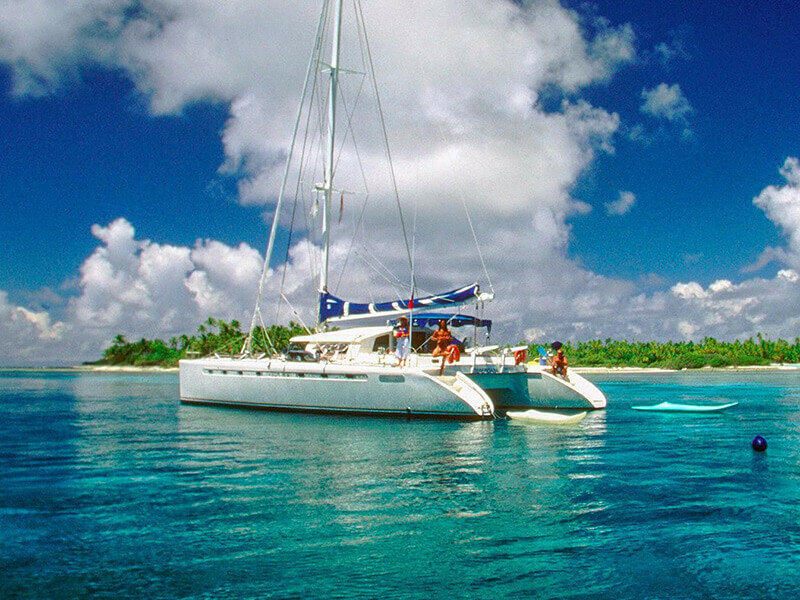 Sip a cold beer on the deck while bird watching and feel completely at peace. 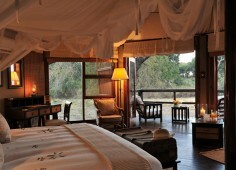 Hamilton’s Tented Camp is all about your body and mind rejuvenation and bringing the romance back into your life. 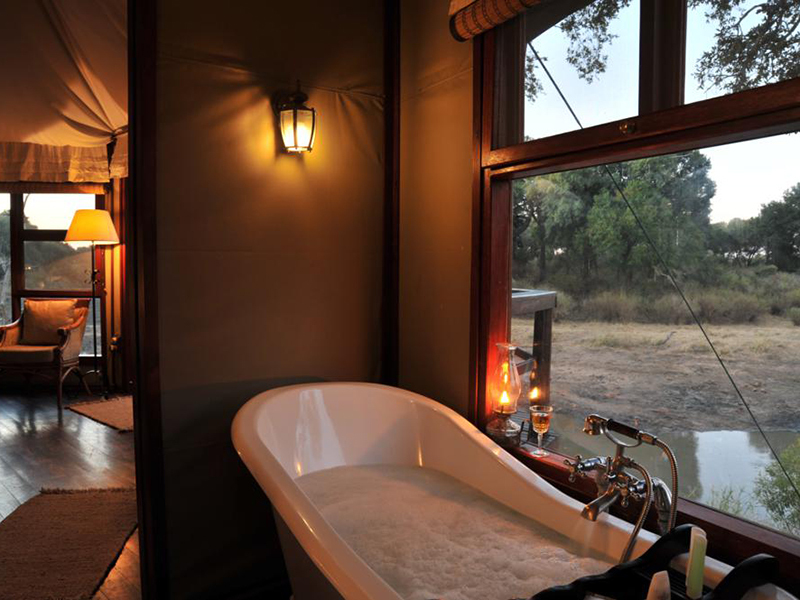 Take it from us, our clients return again and again to this safari secret where luxury and wilderness meet, in a natural and pampering way. 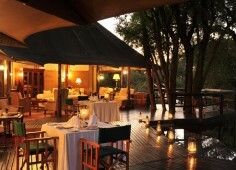 Visit the Kruger National Park and enjoy the hospitality at Hamilton’s – enquire here for a suitable package deal. From Orpen Gate: Take the H7 towards Satara. Drive for approximately 6.7km. Turn right onto the S106 (Dirt Road). After 1.6km, turn right onto the S140 towards Talamati. After 19.5km, turn right onto the S145. After 13kms you will reach a T-junction, turn right onto the S36. 6.5kms further the roads forks, keep right (follow the Hamiltons signage and proceed through the no entry sign). Carry on along this road for 2kms, going through a low water bridge. Approximately 400 meters after the low water bridge turn right at the no entry sign. 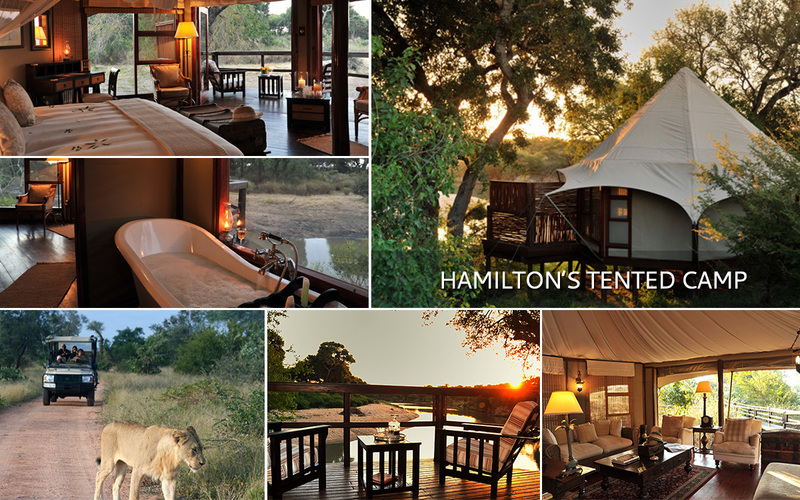 Take the first road to your right and you will find Hamiltons Tented Camp. From Paul Kruger Gate (Skukuza): Enter Paul Kruger Gate. 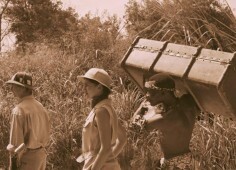 Proceed to Skukuza (15KM). You will pass Skukuza rest camp and proceed to Satara. From Skukuza take the H1-2 towards Satara (32KM). 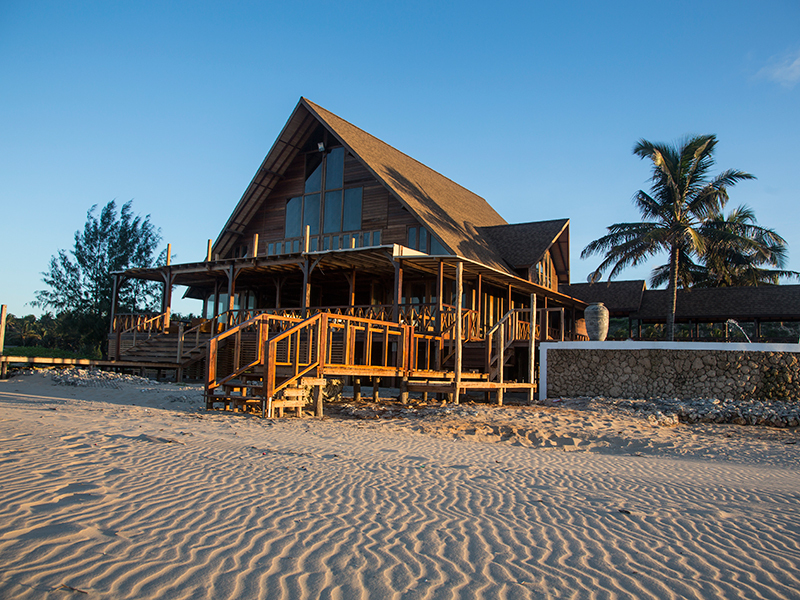 Turn left S36 (Dirt Road) signs will read Imbali Safari Lodge/Hoyo-Hoyo Tsonga Lodge/Hamiltons Tented Camp.